PRODUCT REVIEW: MEDIK8 FULL LASH AND BROW DUO. For those who know me and know me well know that I am completely obsessed with everything to do with eyebrows, I really love taking care of them and whenever there is a new brow product on the market I'm always the first to have a go at it. When I first heard about the Full Lash and Brow Duo from Medik8 I was really excited to give the product a go, the product itself is double ended, the brow side contains a mascara type wand and the lash side contains a fine brush that you apply along your lash line, the serum inside both ends is clear and dries down quite quickly. 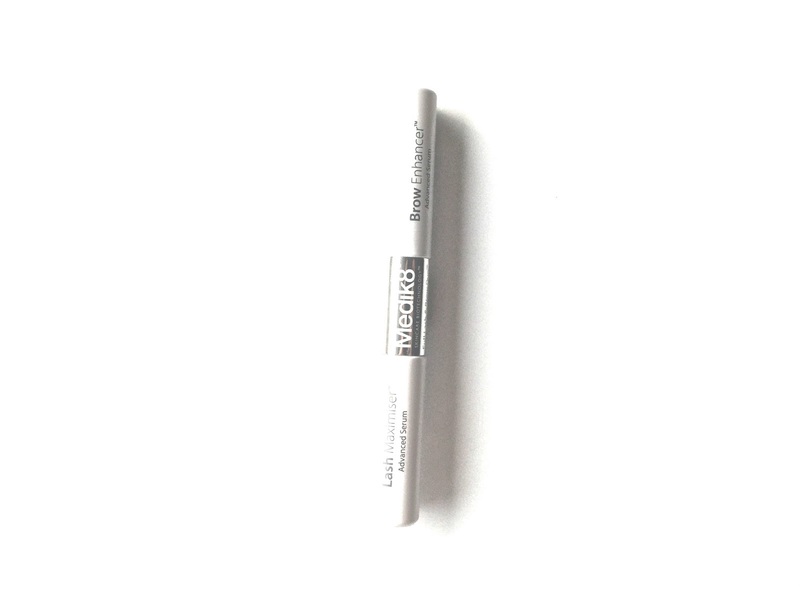 I have been using the product regularly at night, the biggest difference I have seen whilst using this product is how it has filled in any of the sparse areas I normally have on brows and also has helped to form into a really nice shape. The thing I have loved the most about trailing this product is how it has helped to even out my brows, making both sides look almost identical. I naturally have quite long eyelashes but I still gave this product a go and I did notice that again like the eyebrow formula it helped keep my lashes even and they managed to get longer than normal which was a bonus in my books. The serum contains ingredients like a Eyelash Enhancing Peptide Complex which helps to lengthen and thicken eyelashes and eyebrows, Soybean/Wheat Extract Complex helps to maintain healthy growth and will prevent premature hair loss, Panthenol moisturises and conditions, Vitamin E helps to protect from free radical damage and Moisture Magnets work to draw moisture in and improve hydration. To find out more information on Medik8 Click Here.